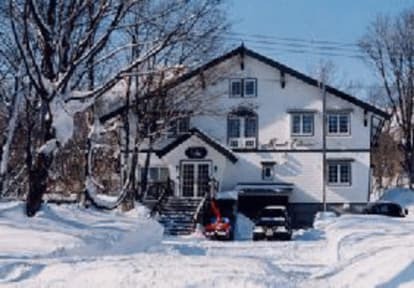 Located beneath the Myoko Kogen Akakura Ski Area, Mont Cervin is a family-run cozy atmosphere pension surrounded by beautiful nature. Myoko Kogen is a real mountian ski town, snuggled in at the base of one of Japan's most beautiful mountains. An ideal location to enjoy skiing. Akakura Onsen, the largest of Myoko's hot springs, is popular too. 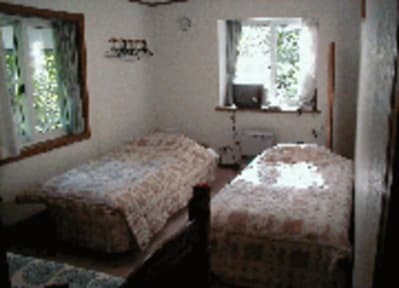 We have both Japanese-style rooms with tatami mats and western-style rooms. All of the rooms are not en suite. The pension's bathroom, and Jacuzzi tub can, however, be used by one person at a time. All of the rooms are equipped with a TV and a telephone. Soap and shampoo are always available at the pension. Facilities include a car parking lot(non-chargeable for 10 cars). We offer rental ski, boards and wears. Mont Cervin is about 10 minutes by car from JR Myoko Kogen Station. JR Myoko Kogen Station is about 2 hours 30 minutes from JR Tokyo Station.